Lanna Arts and Wisdom Create the value of Sustainable Thai. Lanna Arts and Wisdom Create the value of Sustainable Thai. 22nd June - 1st July 2018 Opening Hours: Mon. - Fri. : 10.00 A.M. - 8.00 P.M. Sat. - Sun. 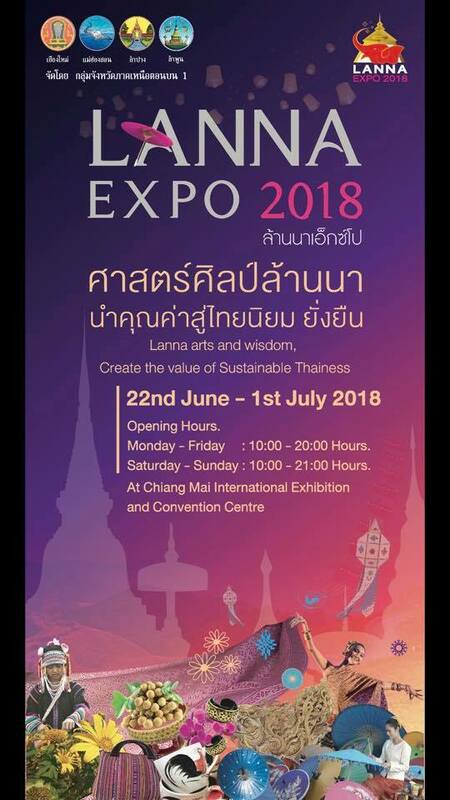 : 10.00 A.M. - 9.00 P.M. At Chiangmai International Exhibition and Convention Centre.